This is a sponsored post written by me on behalf of Sports Authority . All opinions are 100% mine. Jumpstart your way to health and fitness with this 8-week beginner workout guide and meal plan! Start off easy, and work your way up to a leaner and fitter you! Guys, I am SO excited! I am launching a new weekly beginner fitness series beginning on August 24th, and I would love to have you all join me (pssst…there are prizes and giveaways involved!)! If you follow me on Facebook or Instagram, you might have seen me mention that I am headed to Beaches Resorts in Turks and Caicos in October for the Social Media on the Sand conference. I am super excited, and I can’t wait, but I’m also really glad that I still have a couple of months to create healthier habits and tone up before I hit the beach! 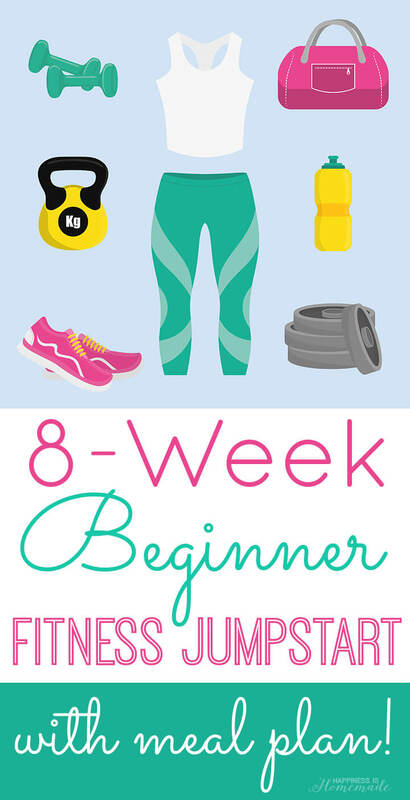 I developed an 8-week fitness jumpstart plan for beginners that includes a 30-minute daily workout guide and weekly dinner menu plan, and I’m sharing them here so that you can join in and follow along! If that wasn’t exciting enough, I’m partnering up with Britni from Play. Party. Pin. who will also be sharing a weekly meal plan and workout for the entire 8 weeks. Britni’s plan is designed for former runners looking to get back into running shape, and will also focus on half marathon training. With two different menus and workouts to chose from each day, you have the flexibility to select the workouts and meals that best suit you. Each week we’ll be sharing our must-have health and fitness gear, and we’l be giving away some of our favorites! The first exercise plan and menu guide will be posted bright and early on Monday, August 24th, so get your gear ready, and get excited about a healthier YOU! GET THE WEEK ONE WORKOUT GUIDE AND MEAL PLAN HERE! Optional gear (not necessary, but encouraged for maximum performance): jump rope, 10 lb. fitness medicine ball, yoga mat and 3-5 lb. ankle weights. The most important thing on this list is a positive attitude and a willingness to make a change! It can be difficult to start a new challenge, especially when it involves fitness and food changes, but I promise that this 8-week program is totally do-able! It’s designed to ease fitness beginners into working out and eating better foods, and will advance as the weeks progress. It’s the first step to a complete lifestyle change, and I’m looking forward to taking this journey alongside you! Gym-appropriate clothing and shoes are also critical to your success. 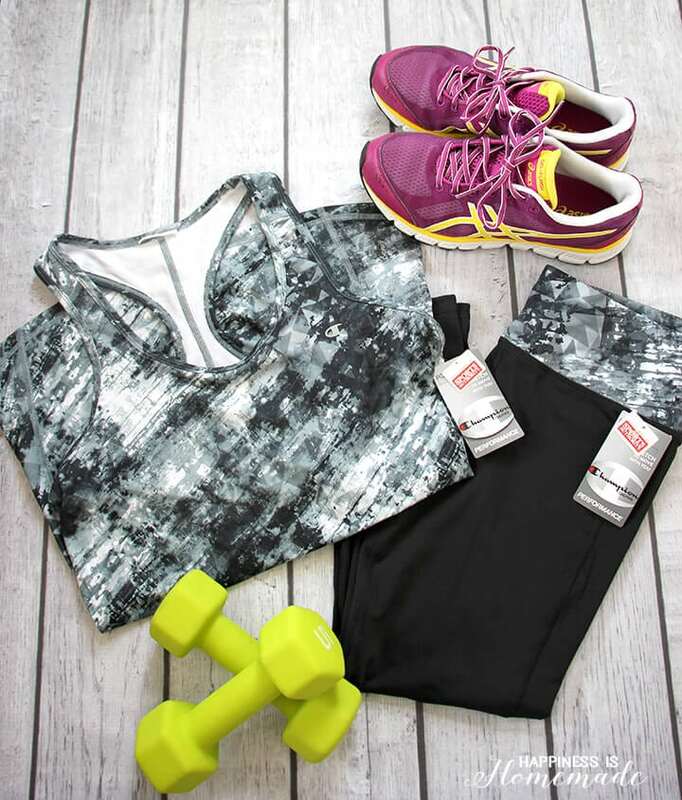 Yes, there really ARE lots of benefits to wearing specially designed workout clothing including support, moisture wicking, comfort and safety. The right clothes can also make you feel confident and more motivated to exercise. 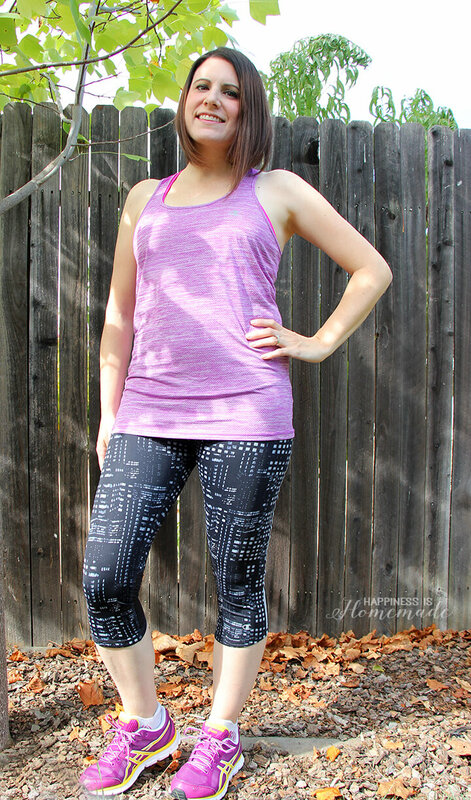 I’ve been living in my new Champion GEAR lately – the quick drying fabrics are perfect for working out, and they’re stylish enough to wear for the rest of the day too! You can find Champion GEAR exclusively at Sports Authority for super comfortable seamless technology and a luxury feel at a great value. Head out to Sports Authority to pick up your gear, and head back here on August 24th for the first week’s workout plan and dinner menu guide (and the first awesome giveaway, too!). 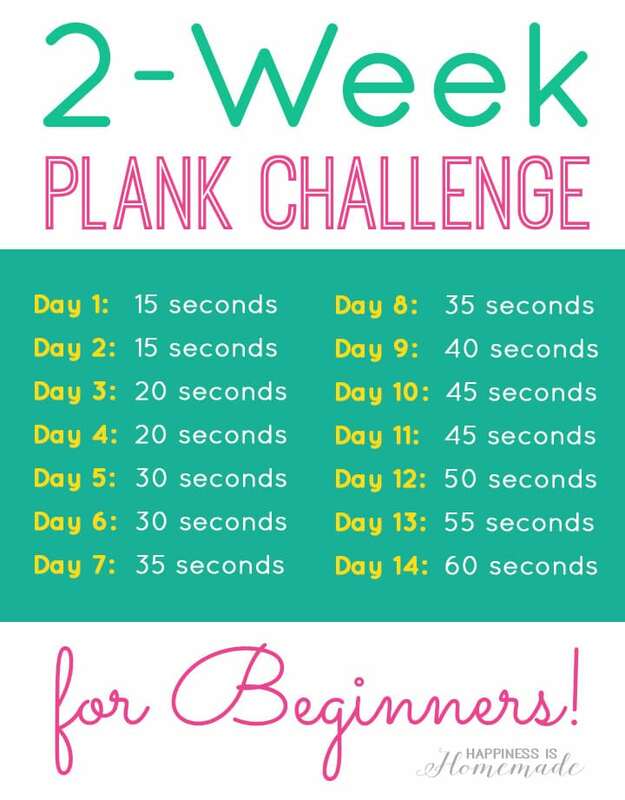 If you want to get a head start, join me for the 2-week plank challenge below! 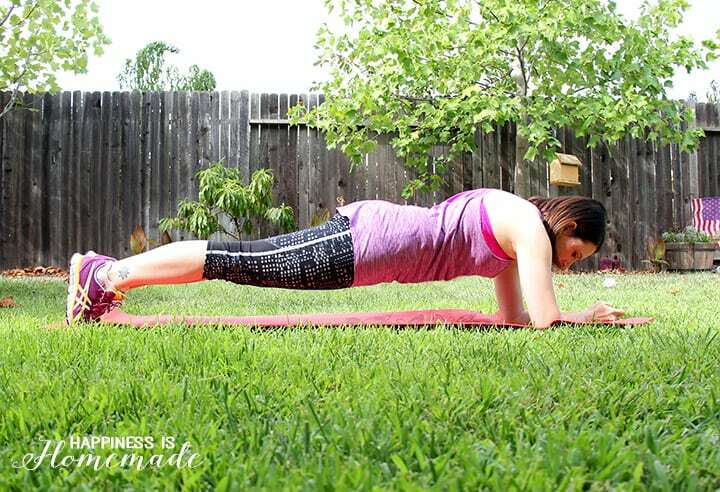 This challenge is designed to strengthen your core muscles, and it’s a great way for beginners to jump into fitness since it takes only a couple of minutes each day! Simply hold the plank pose (demonstrated above) for the specified amount of time, rest for 30 seconds, and repeat once more. Easy peasy! I’ll see you back here on August 24th for Week 1 of the 8-Week Beginner Fitness Jumpstart!